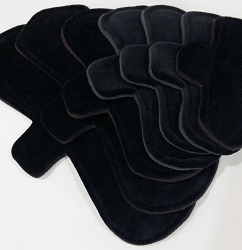 Black Cotton Velour Pads with Fleece backs - Pick Your Size! 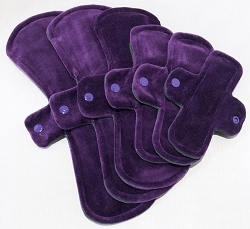 Are you ready to make the switch to reusable cloth pads or interested in diversifying your cloth pad stash? 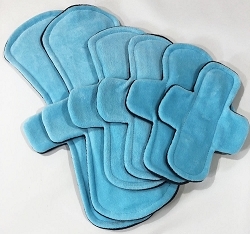 Our Cotton Velour Toppped Cloth Pads are a great choice for any cycle. 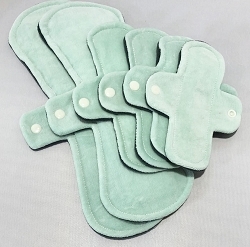 Cotton Velour is soft and comfortable, you'll stay dry while not subjecting yourself to plastics, papers, fragrances and other toxins commonly found in disposable menstrual products. 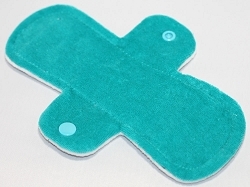 Cotton Velour Cloth Pads come in various styles, sizes and widths and we offer great colors as well. 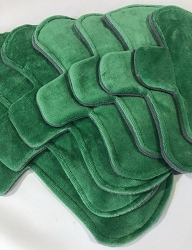 Mint Cotton Velour Pads with Fleece backs - Pick Your Size! 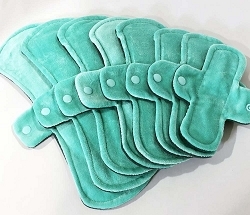 Rinse your Cotton Velour Pads in cold water before storing them until wash day. 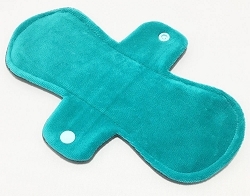 This helps prevent and reduce stains. 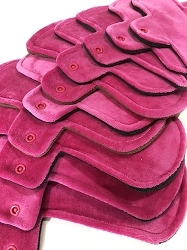 Have light staining? 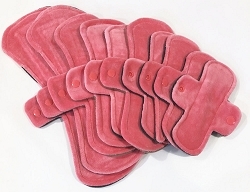 Try our Buncha Farmers All Natural and vegan-friendly stain stick or lay your pads in the sun for a little while to lighten stains naturally. 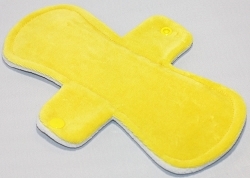 For complete cloth pad washing and cotton velour pad care tips please visit our Cloth Pad Care & Use page.